I am so excited and can be seen jumping with joy at getting the advanced reading copy of Jac Wright's upcoming full length novel "The Reckless Engineer". But the news that I am going to give you will have you jumping with joy too! The Closet from Summerset Tales is a short story by Jac Wright. Love is a battlefield. Who will get out of it alive? Harry Duncan Wood runs a hotel in the historic city of Bath with his beautiful young wife. When he falls in love with Mill House, an old greystone farmhouse on the banks of river Avon among the soaring hills of Somerset, and sets about moving his family there, the first appearances of the cracks in the marriage take him by surprise. Is his wife seeing another man? Duncan needs to get to the bottom of the affairs for his own sanity. Sometimes, however, ignorance is bliss and will also keep everybody alive. 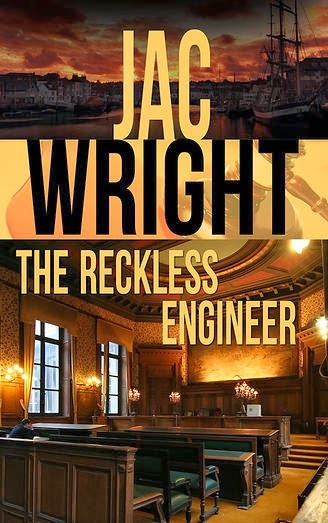 Jac Wright is a published poet, a published author, and an electronics engineer who lives in England. The Closet is the first in Wright's collection of literary short fiction, Summerset Tales, in which Wright explores characters struggling against their passions and social circumstances in the contemporary semi-fictional region of England called Summerset, but with an added element of suspense. The collection is published as a series of individual tales (each tale complete and not serialised) in the tradition of Charles Dickens' The Pickwick Papers and Thomas Hardy's Wessex Tales. The first Summerset tale, The Closet, accompanies the first title in the author's full-length literary suspense series, THE RECKLESS ENGINEER, published by Soul Mate Publishing, New York. Use this link below to sign in on Jac Wright's contact page. and start the count down to "The Reckless Engineer" debut also.